The waver itself heats up in no time and can go up to temperatures of 180°C in moments. Something that I also really like is the fact that you can control how hot you'd like the tool to be, theres over 25 heat settings on the device allowing you to control the heat you apply to your hair, perfect for if you feel your hair is damaged and don't want to damage it a whole lot more using heat. The longer you press down on your hair the more of a wave the deep barrel creates. For example when doing my hair in the above photo I held the barrel on each strand for no longer than 5 seconds at a time, whereas in this Instagram photo here I held it for 7-8 seconds. Like I said when it comes to my hair I don't like to do anything extravagant and you will more than likely see me wearing a half up half down hairstyle with my hair poker straight. So even waving my hair was a big deal for me as I'm usually one who doesn't love much volume, however I gave it a try and became obsessed with the results. Depending on what kind of waves I wanted depended on how long I left the barrel clamped on my hair, as I have quite thick hair it would take up to 30 minutes to finish my hair however the results are well worth it. 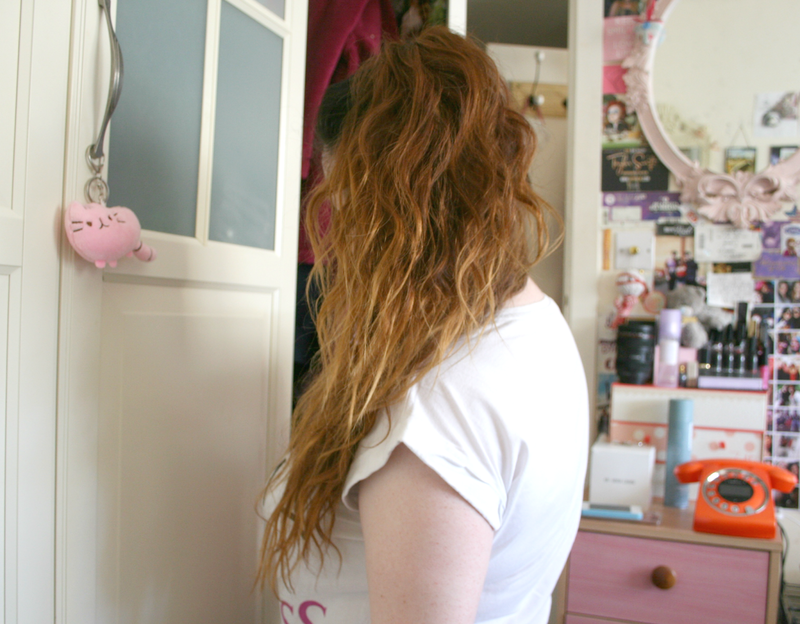 I've been adoring having my hair in my usual half up and half down do but with wavy hair. 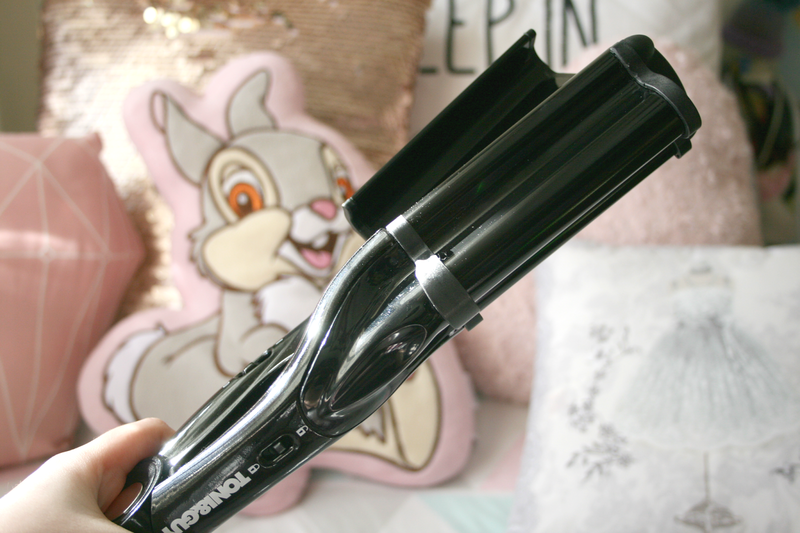 It gives me an extreme amount of volume and texture I really cannot get enough of it. For this look I simply just take both index fingers and run them from the back of my ear until they meet, with the hair I have in my hands I then tie in a high ponytail and ta-da finished! For second day hair I will usually just throw all my hair in some sort of high pony however because of the texture in my hair thanks to these waves I decided to try something different that I used to wear but again with poker straight hair. I don't tend to like a full on perfect look, even when my hair is straight I have to have at least some sort of messy pony tail so this twisted pony is perfect when you still have texture in your hair and it takes up no time at all. I also popped in a little clip full of sparkle just to add a little more too it. 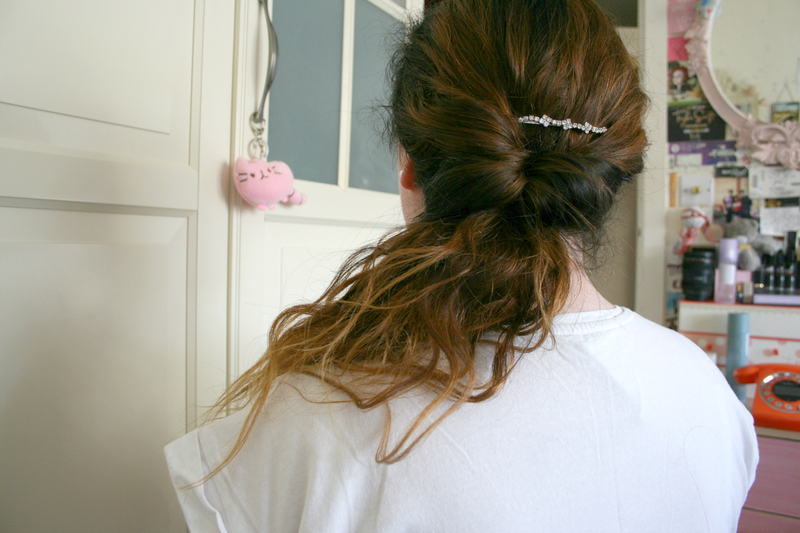 Simply tie your hair in a low pony, above the bobbin put your two index fingers through it and pull your hair apart. Simply flip your pony through and tighten the bobbin, pull your hair to whatever side you prefer and you're done! The waves added volume for me to this hairstyle and also made the pony look like I had spent time on creating the look. Simply adding some hairspray and you're good to go for the day. 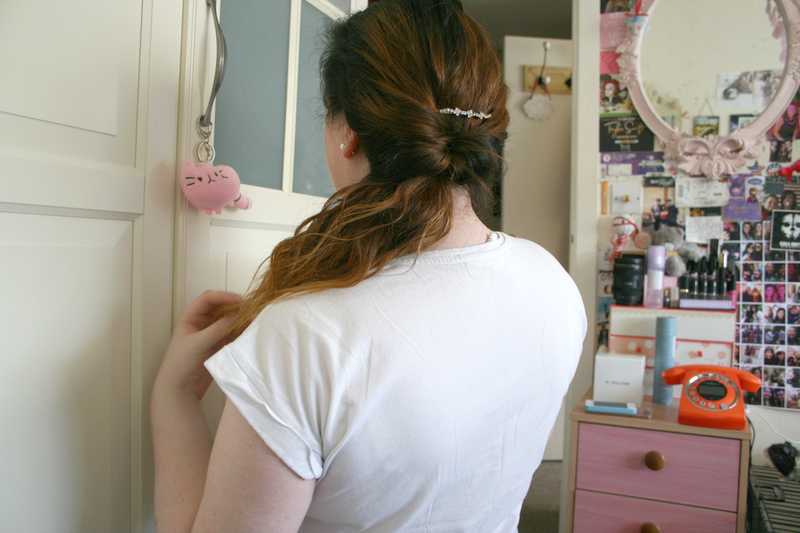 I am all about easy and simple hairstyles no matter the occasion. 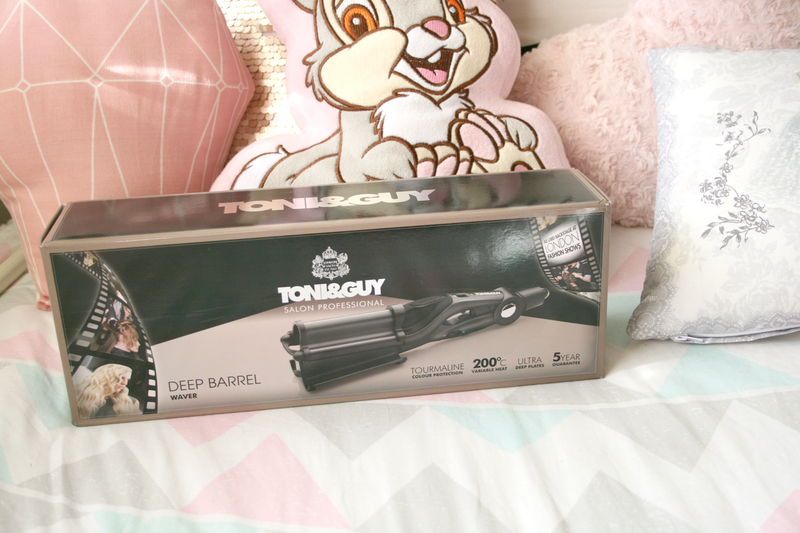 When I would style my hair using the waver I would also spray some of the Toni&Guy Casual hairspray* to set it in place and trust me when I say it really helps the waves last. I went out in every weather condition you could imagine with this hairstyle and the waves looked as if I had just done them freshly each time. Since getting the Deep Barrel Waver* I've only worn my hair straight once. I just adore the volume it gives my hair and the waves it creates are just gorgeous! As leaders in self expression, Toni&Guy are encouraging consumers to De Clone their look! So why not give it a try yourself? Are you adventurous with you hair or do you like to keep it casual? Looks like such a handy tool! 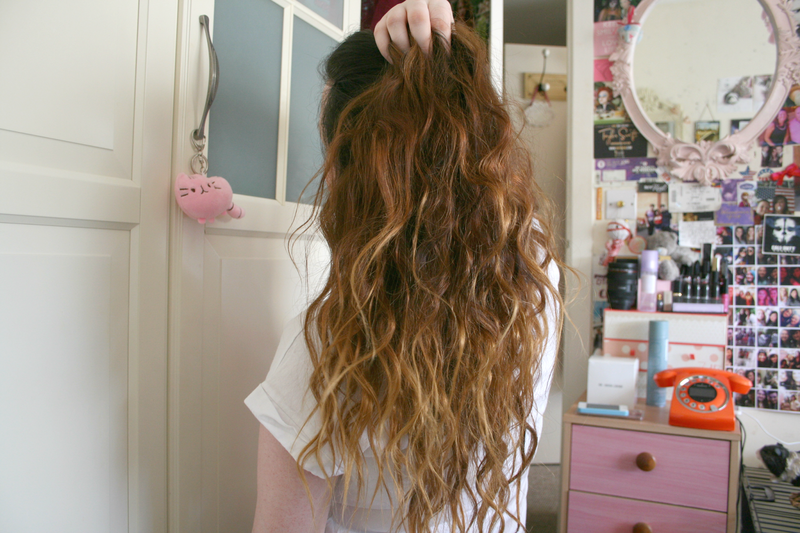 Such a beautiful wavy hairstyle! I should probably get one of these deep barrel wavers since I'm getting annoyed with regular curling wands. 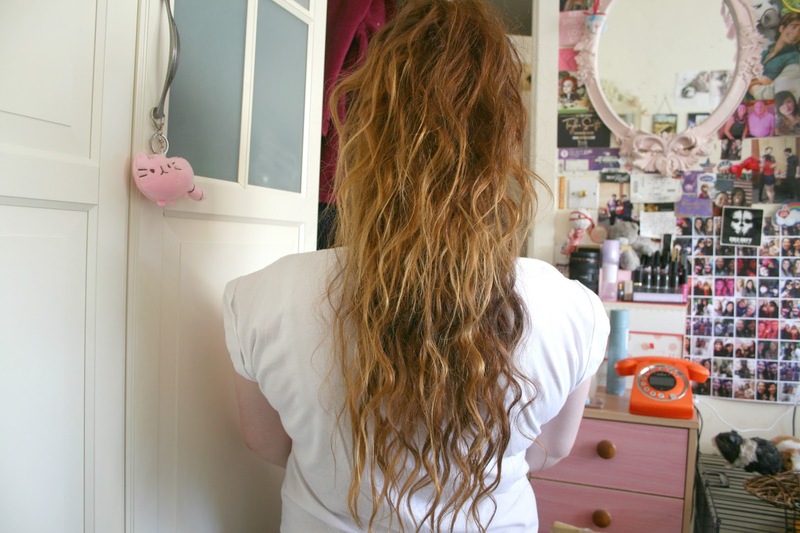 I can never achieve a loose wavy look using one.